Stick to your budget when you use the latest cheap Furby voucher codes from your favourite retailers to maximise your savings. Special offers are up for grabs so don't waste this opportunity to purchase Furby items at affordable prices. You can get them from popular UK retailers including Amazon, Very, and Argos. This is a great time to purchase the Furby items that you are looking for because of the special offers available. There are a lot of amazing deals online to choose from and you will surely get great value for your money. 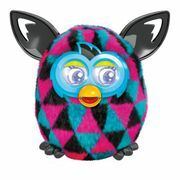 Furby Boom Houndstooth (Purple) ONLY 4 LEFT! Cheapest Price Furby Connect EVER?! Could Be! 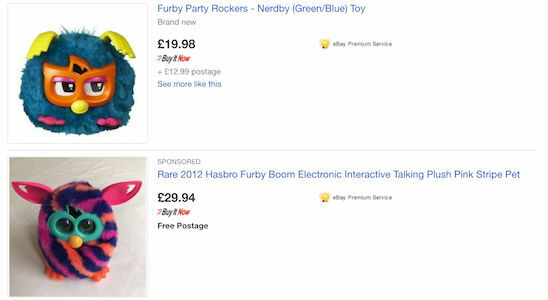 Furby Connect - Purple - ARGOS LOWEST EVER PRICE £24.99! 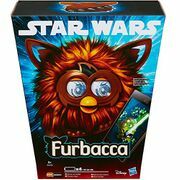 Awesome Lowest Ever Price For Furby Connect At Argos Just £34.99!! All the best Furby deals and voucher codes online! Is It an Owl or a Hamster? It’s Furby! Tiger Electronics released Furby, an American electronic robot, in the year 1998. Upon looking, you can associate it to an owl or a hamster. Since then, this has become a must-have for many, most especially during the holiday seasons. As a matter of fact, it has increased its sales up until 2000. Dating back to its original production, 40 million Furbies were disposed and soled. Thus, its speaking capabilities were translated and adjusted to almost 24 languages. With Furbies, the attempt was to make a domestically-aimed robot. That succeeded. When this toy began, it only spoke Furbish. This was the kind of language it uses. However, its makers started to program it in English as well, so they utter words and phrases in the said language eventually. The history of Furby has really gone a long way. It was updated with the Emoto-Tronic function, in which voice recognition and more complex facial movements become obvious. Such was sold to Hasbro. Sooner, a Furby with LCD eyes and a mobile application also came to existence. Complete your collection of these cute creatures without compromising your budget with the help of Latest Deals. Find the best price on all Furby Connect colours including blue Furby Connect and pink Furby Connect. We also have the best deals on Furby Boom from your favourite UK retailers. The cutest Furby is just within your fingertips. Whether you’re looking for orange Furby, blue Furby, brown Furby or Furby orange, you’ll find them here at Latest Deals. From Furby 1998 and Furby 1999 to Furby 2018, you’ll never run out of gift options for you frineds and family. Our community of bargain hunters are always looking for the best Furby sale UK, special offers, discounts, and price drops to post and share for our members. We also have a team of money-saving experts who regularly share essential tips and tricks that will be able to help you save on your instore and online shopping. Most online UK retailers have sale events, seasonal clearances, and flash sales where you can get up to 40% off on a wide selection of toys including Furby. There are even 3 for 2 offers that can provide you with a lot of savings as well. Watch out for their Black Friday and Boxing Day deals where their prices are reduced even further. If you want to maximise your savings, make sure to use the latest Furby discount code we have here. We also have Furby voucher codes where you can get freebies or free shipping. From classic Furbies, to Furby Babies, Furby Friends, Emoto-Tronic Furbies, Emoto-Tronic Furby Babies, Emoto-Tronic Funky Furbies, and others, you can buy your kids all the Furby toys they want within the your expected budget. The deals and offers we have here are available for a limited time only, so make sure to take advantage of them right away before they expire. Do not forget to bookmark this page and never miss out on great savings across flask deals. Classic furbies. Classic furbies are intelligent. No wonder, they have gained a lot of popularity right after they were released. Their capabilities are transparent to their ability to learn and speak different sort of languages. They can also communicate with just the aid of an infrared port which is found in between their eyes. As this is the case, you should remember that in order to communicate with this Furby, it must be face to face with you. The same is also true with other furbys out there. Inside them are cameras, electric motors and gears. These are all coordinated with their eyes, mouth and ears most especially when they want to stand up. Furby babies. Furby babies were launched in the year 1999. Since then, they became visible to the market. Moreover, they can also speak loudly as compared to other Furbies that do not come with any dancing capabilities. They can also adopt the English language well. As a matter of fact, their vocabulary is way too wide. There are even Easter eggs and games found and installed in their very own system. Furby friends. Furby friends are very social. They come from the idea of the gremlins film. Aside from the usual furbies, there is also another brand referred to as the novel furbies. It should not be hard to see Yoda which is a representation of soldiers. 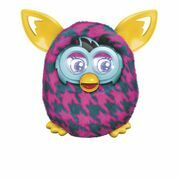 There is also Shelby which is synonymous to a furby but comes with a great memory with a different personality. What set these Furby friends apart from the rest is that they have the ability to detect high pitched sounds. They can also sense when something is placed on their heads so they laugh as a reaction. The language of this furby is shelbish, but it is also familiar with English words and phrases. Emoto-tronic furbies. Emoto-tronic furbies were released in 2005. They are huge in size and they have an emotional looking face. One of their skills is that they can also remember voices which may serve as an aid when communicating to people. Making them sleep is easy too. Everything only takes a single command with their on and off button. With similar furbies, they are most likely to communicate. However, this may not happen with the old version furbies. Their design do not include light detectors nor movement detectors. They are also not capable of responding to noises and sounds. Thus, they are only ideal for users who are not looking for high performing furbiles including small kids. Emoto-tronic furby babies. Emoto-tronic furby babies were introduced in 2006. They sport a new baby-ish look that is obvious to distinguish from an Emoto-tronic adult. This version comes with fewer features as compared to the grown up type. Further, they can only converse in like a number of words and phrases. They are unlikely to go social as well. Their flexible legs move when they wake up though. Emoto-tronic funky furbies. Emoto-tronic funky furbies came about in 2006. They are rare with their two colour combinations - pink and yellow, purple and green. Their capabilities include singing and dancing. They can also hold 3 songs at a maximum. Teach them and they can remember dance moves too. Just play with them to unlock their potentials. Furby boom crystal. Furby boom crystal is the latest version released in 2014. You will notice is new designs for its ears, face and feet. Their neon fur seems to be brighter. What is even commendable is that they can be connected to iOS or Android applications as well. 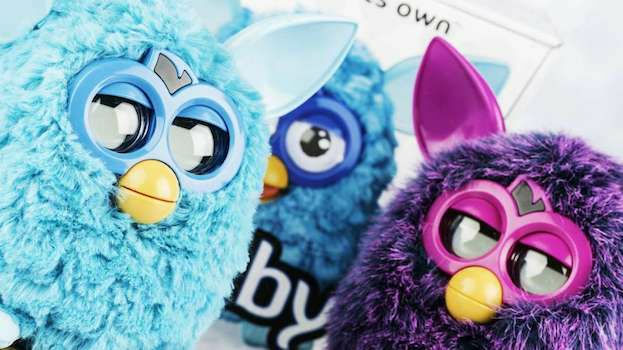 They are the latest and the most advanced among all the furbies mentioned in this list.